As children of the 80’s, our imaginations propelled us into great adventures. Fighting against a Galactic Empire in a galaxy far, far away? Yep. Learning to “Never Say Die” as we hunt for pirate treasure through booby trapped caves? Of course. 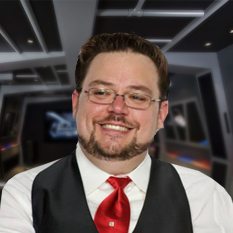 Throwing on our proton packs, crossing the streams and saving the world? Do you even have to ask? Thanks to the films of the decade, my friends and I never ran out of things to pretend to be. But once in a generation, a film comes along and does more than entertain you. It teaches you, as well. Teaches you to face your fears, teaches you to never give up hope, teaches you that Wolf Man has nards. 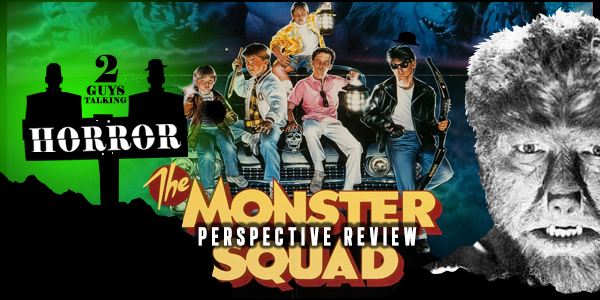 Gather the gang and meet at the club house because it’s time for the 2GuysTalkingHorror’s Perspective Review of the 1987 classic The Monster Squad! — Do YOU remember any of the promotional ads or trailers when The Monster Squad was released? ? Tell us now! — Did YOU cry when Frankenstein’s Monster was sucked into Limbo? Tell us now! — Would YOU let your pre-teen/teenage relative watch The Monster Squad? Tell us now! — What was YOUR favorite scene in The Monster Squad? Tell us now! 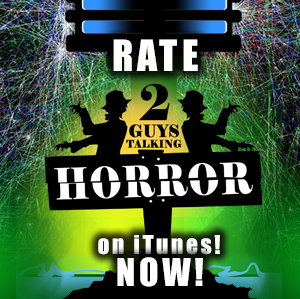 — What was YOUR rating for The Monster Squad? Tell us now!